Australia, Manus Island – Due to the 850 men in the detention center on Manus Island, Australia sent asylum seekers under its offshore processing policy. This action has made the Papua New Guinea’s Supreme Court to rule against Australia’s detention of asylum seekers, calling it illegal. Since the men who were found to be refugees are off the Papua New Guinea’s coast, Australia’s Immigration Minister Peter Dutton said the center in the Island was Papua New Guinea’s “sovereign responsibility”. Even though many arrived in Australian waters by boat from Asia. Mr. Dutton said that the island is clearly part of Papua New Guinea’s territory, and he sees the decision of the Supreme Court as a problem for the Papua New Guinea government, not the Australian government. The Australian government is hoping to receive guidance from Papua New Guinea, after the Supreme Court ruled that Australia’s practice was illegal, according to Minister Dutton. He also added that men currently detained on Manus Island would not be received in Australia under any circumstances. This is due to Australia’s immigration policies, which have been criticized by the United Nations and human rights agencies for harsh conditions. Under these Australian’s laws, any refugee intercepted while trying to reach the country by boat, is sent for processing to camps in Nauru and Manus Island, even though these islands are Papua New Guinea’s responsibility, according to the Australian government. The people detained will never be eligible to be resettled in Australia. This has created turmoil amongst asylum seekers, making them take extreme modes of protest, including self-immolation. The Australian government is still waiting for Papua New Guinea’s advice on the matter, even though the Supreme Court has said that, because the asylum seekers and refugees are not trying to enter voluntarily Papua New Guinea, the situation of illegal immigration could not apply to them. 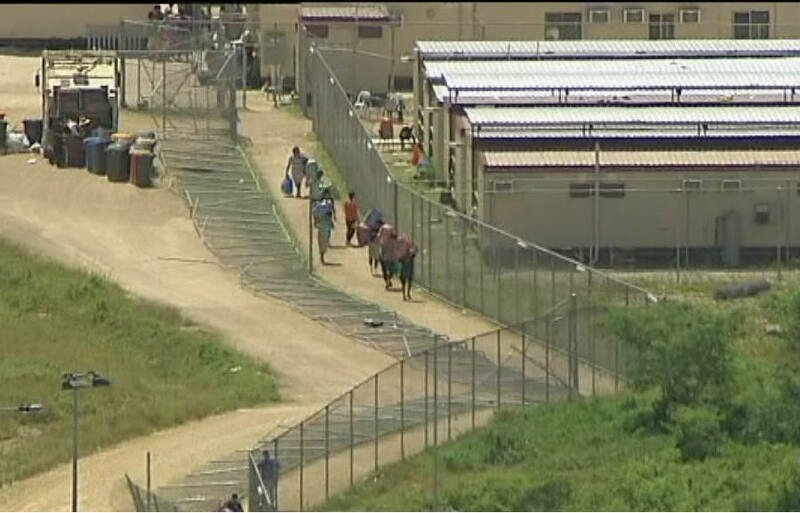 According to five judges on the Papua New Guinea Supreme Court’s, the Manus Island camp violates section 42 of the constitution, which guarantees personal liberty, except in defined circumstances relating to crime, illegal immigration and quarantine.